Most of manufacturers, retailers, and promotional product suppliers are using outdated distribution methods, manufacturing processes and customer facing technology. 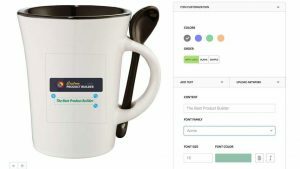 Mass producers in many cases scatter their product among as many outlets as possible in the hope for it to generate a profit or add their inventory online creating thousands of product listings to showcase all available modifications of the same product. Inventory is built in anticipation of potential, yet uncertain, demand while manufacturing organizations are facing more and more fragmented markets and increased demand of variety and personalization options from consumers. One size does not fit all! At the same time major promotional industry suppliers are still processing orders using spreadsheets, emails with PDF proofs and outdated API methods. Distributors don’t have an easy to use system to sell promotional products online without spending a lot of money and time on preparing the product information for sale and manually processing orders. 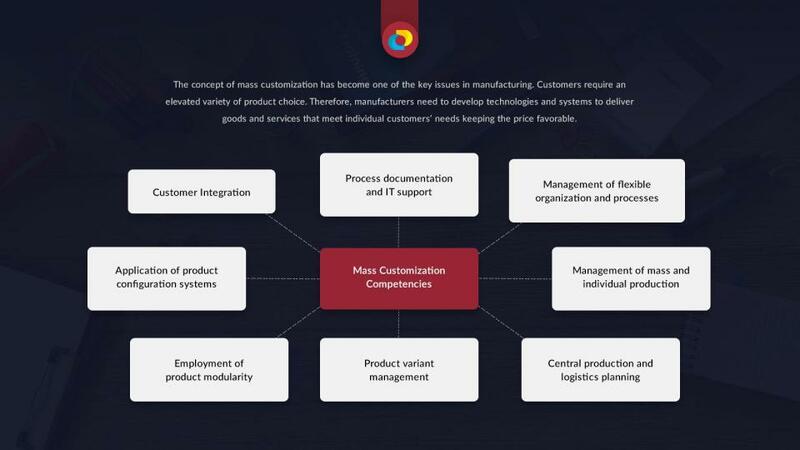 The concept of mass customization and personalization has become one of the key issues in the operations management theory and practice. Therefore, manufacturers need to develop technologies and systems to deliver goods and services that meet individual customers’ needs. Have you ever seen or used ‘Build Your Own BMW’ or NikeId or ‘miadidas’ products? In one of the case studies of ‘Build Your Own BMW’ it was said that more than 50 percent of mass manufactured BMW cars did not have a potential consumer when they rolled off the final assembly line. At the same time case studies suggest that the main reason for BMW’s global success, despite being much smaller than auto giants like GM or Toyota in terms of annual sales was that the company started offering personalized cars. Because of this, customer satisfaction with a BMW purchase was higher than what they obtained by buying a mass produced car. My individual Adidas is the mass customisation offering Introduced in 2000, that provided a service that had previously only been available to top athletes. While bigger brands may have the capabilities to develop technologies and systems to deliver goods and services that meet individual customers’ needs, it requires a significant upfront investment of budget, time and technical knowledge. 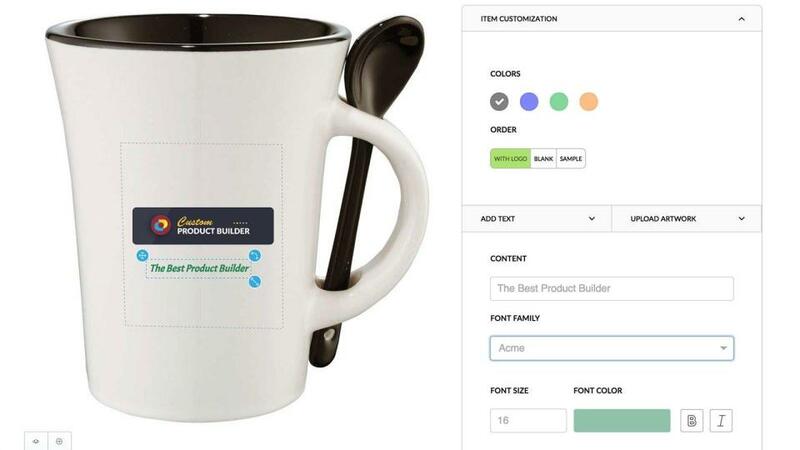 At Custom Product Builder we empower makers, manufacturers and retailers to offer customization and personalization for their products online or in-store without major upfront costs. By digitizing, demonetizing and democratising mass customization and personalization technologies and working hand in hand with manufacturers, suppliers and latest innovations in mass production like 3d printing, laser cutting & engraving, AI & robotics we can help spread the new sustainable shopping experience like never before. Our platform has an easy-to-use modern responsive Interface that offers a number of product customization and personalization options and suppliers. 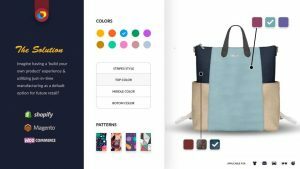 Imagine mass customization and personalization as the default option in every store as the future of retail? 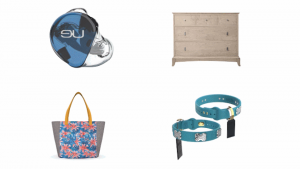 The platform is also being used by a Logitech company – Ultimate Ears and a number of medical equipment companies and emerging fashion & accessory brands. Every week we get surprised by the variety of use cases. 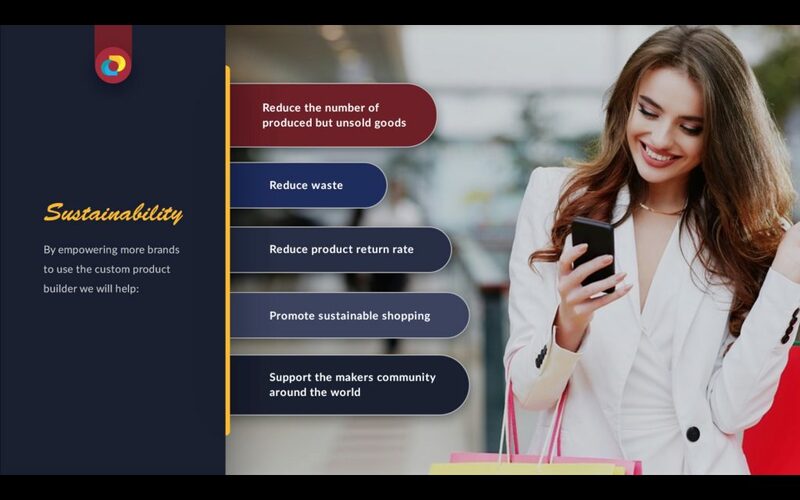 While promoting customization and personalization among the community we also help promote more sustainable shopping, where goods are manufactured Just-In-Time..
That reduces the waste and impact on the environment, lowers product return rates and increases customer loyalty. In addition to powering brands separately, we are also planning to launch the first ever marketplace powered by our customization technology using the inventory of thousands of merchants that have integrated our plugin into their existing stores. It will be a unique marketplace with personalized shopping experience like never before. 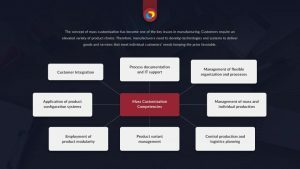 The adoption of mass customization and personalization is a slow process without the proper resources and access to the key decision makers in the industries. 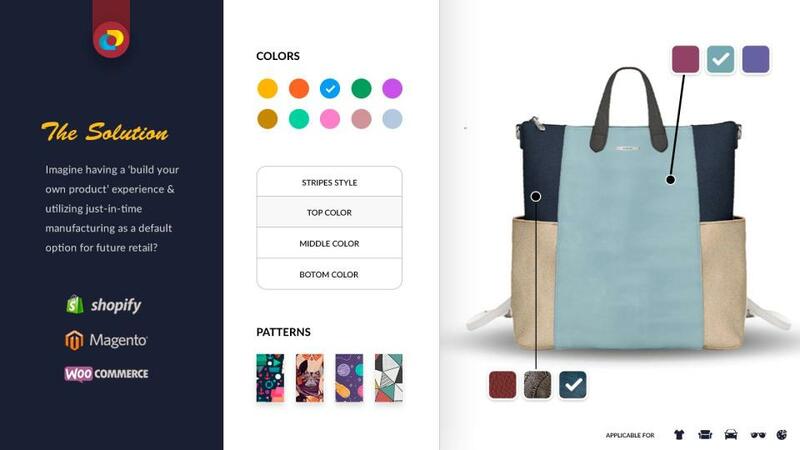 We are looking for partners and advisors interested in manufacturing / retail / ecommerce innovation to help us spread this technology and help fuel the adoption of mass customization and personalization as a default shopping experience option. There are millions of retailers looking to upgrade or implement a custom product builder into their existing systems and thousands of new stores looking for a solution like ours open daily across major e-commerce providers. Together we will change how the World shops!